The 1995 film Toy Story, which launched the franchise, was the first fully computer-animated feature film and the highest grossing movie of the year. The film was nominated for three Oscars® and two Golden Globes.® The Golden Globe-winning Toy Story 2 is the first film to be entirely created, mastered and exhibited digitally; and was also the first animated sequel to gross more than its original, breaking opening weekend box office records in the U.S., UK and Japan, becoming the highest grossing animated release of 1999. In 2010, Toy Story 3 won Oscars® for best animated feature film and best achievement in music written for motion pictures, original song (Randy Newman/“We Belong Together”). The film also won a Golden Globe and BAFTA for best animated film. It was the second Pixar film to be nominated for the best picture Oscar. It’s also Pixar’s second highest-grossing film of all time behind Incredibles 2. 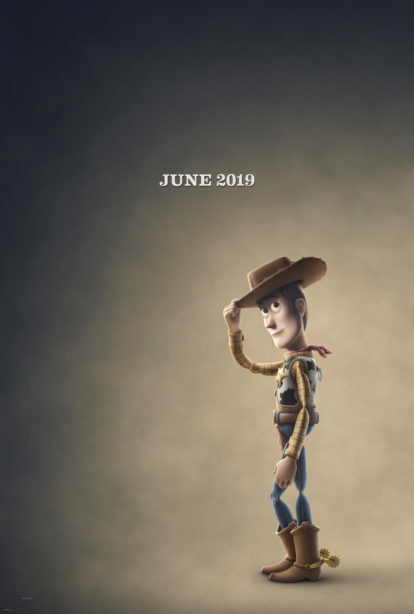 Joining Hale in Toy Story 4 are Tom Hanks, Tim Allen and Joan Cusack, who return as the voices of Woody, Buzz and Jessie. Directed by Josh Cooley (Riley’s First Date?) and produced by Jonas Rivera (Inside Out, Up) and Mark Nielsen (associate producer, Inside Out), Toy Story 4 ventures to U.S. theaters on June 21, 2019.